Medical research and studies on how cannabinoids like CBD (cannabidiol) from the hemp plant affect our bodies have shown that they interact with our endocannabinoid system. This system in turn reacts to our central nervous system, and the animal used in the studies exhibit the same endocannabinoid system. So, CBD oil and dogs have the same relationship where their systems too interact positively with CBD from hemp oil. Our endocannabinoid systems are shared by all mammals, and CBD has been found to actually remain longer in a dog’s system which means that doses provide longer lasting effectiveness without the side effects of most prescription medications. With this in mind, we can look further into CBD oil for dogs with confidence. HempsPets’ essential CBD for dogs is recommended by veterinarians that I know for promoting healing, preventing seizures, and offers natural and safe pain relief for injured or aging companions. I challenge you to add hemp oil for dogs to your pet’s diet regimen and watch the transformation for yourself. No wonder it is becoming the fastest growing segment in the CBD product categories. Hemp-infused Pet products from HempsPets deliver phytonutrients that support your pet’s primal need for natural-based medicine to help balance their endocannabinoid system. This is no longer available in their food, so I must be added by their owners just like they should do for themselves. Veterinarians everywhere are discovering that their canine patients are benefited from ingesting CBD hemp oil. Both Chronic conditions and acute ailments in our pets can be helped with the regular or daily use of CBD oil for Dogs. Chronic ailments like arthritis, aggression, weak immune systems, stress, type1 diabetes, digestive problems and cancer are a few examples. And acute conditions from normal bumps and bruises, sprains, strains, torn ligaments, and bone breaks to reducing inflammation, pain, and soreness for speed of post-operative recovery. And by all means, if your dog is taking prescription medications, especially for long periods of time, then you really need to consider how beneficial it would be if you could see that reductions are in order and perhaps eventually remove them completely in exchange for a high-quality, a nano CBD oil dosed appropriately and packaged for pets. Again, the same that is true for humans and CBD is the same for CBD for dogs. Every dog is different as every human interaction with CBD is a bit different. Although the outcomes are the same, the doses are different largely due to the difference in size between humans and dogs. “Start slow” is the typically described approach dosing a dog or cat with CBD Pet hemp oil. That seems to be a universal piece of advice from most product directions and their providers, ywt they never deliver enough CBD for optimal results... so often, pet owners give up too soon. Although CBD overdosing has never been recorded, there is no need to waste it either. For gel caps, poke a needle hole in the end of a gel cap and squeeze half out for small dogs and cats, and a full cap is fine for medium and large dogs. The natural smoke flavored CBD Hemp Oil Caps can be given directly or squeezed into their food. You can moisten them with butter or oil to make it very easy to swallow. Pay attention to your dog’s responses, and increase the dosage if needed. Remember to apply it directly to sores and wounds for more effective recovery when your pet’s topical medications don’t work. With oral dosing you can just add more and more until you achieve the therapeutic results you seek, and with the topicals, you will need less and less as it heals. CBD Living Pet hemp oil is typically made from organically grown industrial hemp plants grown in locations from Colorado to China (the largest producer) and subsequently, the hemp oil is extracted from the harvested plants using a very clean and healthy CO2 extraction process. 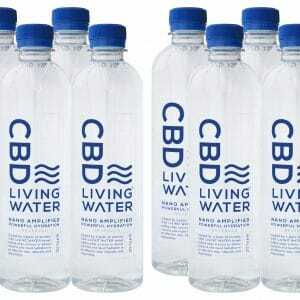 The same process is recommended for human CBD products like CBD Living Tincture 1000. This yields a powerful botanical extract containing a full spectrum of organic cannabinoids like CBD, CBN, CBA, Terpenoids (terpenes), essential oils, and other natural compounds from the plant that Nature created for us and our pets. Great for your nervous or aging cats too! We look forward to hearing from you about your pet’s experiences with CBD hemp oil for dogs… and cats! Don’t go without leaving a comment below. Hemp Oil Dog Cap is really great. I am giving these to my pets and they are happier than before. Thanks to hemp oil. Thanks for the feedback Emma. If you think the dog caps are great, you should try something like CBD Pet 100 for very small dogs and cats. If a medium to large pet I recommend CBD Pure 600, and only abou 3 to 4 drops to start. Then double the dose each time if no result, and also remember to dose in AM and in afternoon.